I LOVE this texture pack. It's one of my all time favorites. I'm excited to see what more you do with it. Very nicely done I must agree. The whole pack has a natural feel to it. Like all the blocks were actually hand crafted. Great job so and I wish you luck on finishing the pack. So... I don't know why I've never popped in here before. 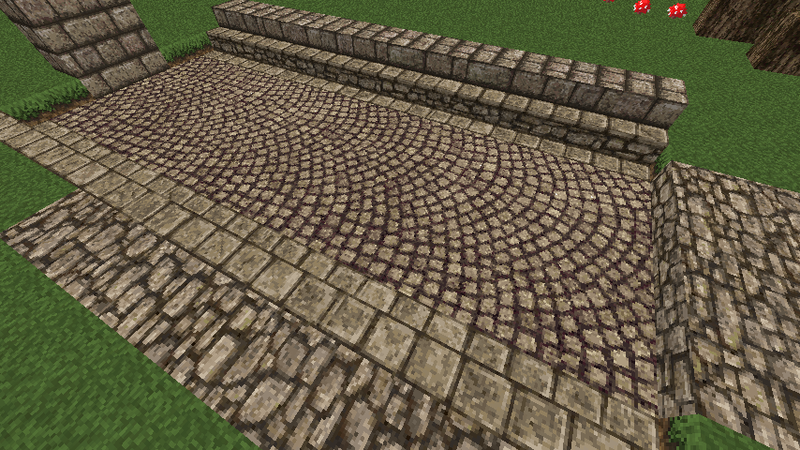 I'm really glad to see you're redoing the old textures, I never did much like the cobblestone you had. The new stuff you're making... Well, you've got another fan of this, now. The only complaint I have is that the shadow looks a bit strange up close on stone, but looking at it from a distance, it almost feels like making it any darker would contrast it too much... Outside of that, and before playing with it, I can't find anything else to criticise. You've done an amazing job, namely on your recent stuff. But, seeing as it's been 2 months since you've spoken, I'm almost a bit worried. I just got here, I'm not looking to forget about this already! Wow. That stone is looking VERY nice. This is one of the best Medieval tp Ever EVER. Please Texture the Bookshelves, and Beds. It is really wierd, and They are practically the easiest things to texture. Even I could do it. I like it so far. I was having problems with my bricks too, but I found that light grout just looks better as well. Started a server project with some friends so I have been missing for a while and did not have much time to make textures. Fortunately I got some free time and managed to finish the cobble slab. @Sheep: Yes I thought so myself. Slabs are done now though, after 3 months of nothing. @H_Dan: Thank you Dan. I love the work you did on the dwarf pack with the celtic designs, it inspired me to change my pack in the first place. @LaEstrellita: I'm glad you like it, hopefully I will have more time for texturing from now on. @Hikachan: Thanks Hikachan, I'l do my best. @Ihmemies: Aww, that image makes me sad.. I need to come up with some good quartz :/ I hate and love quartz. I love that it looks like marble, but it doesn't fit with anything else. I really like your builds, I'm a fan of large-mega builds, especially cathedrals. 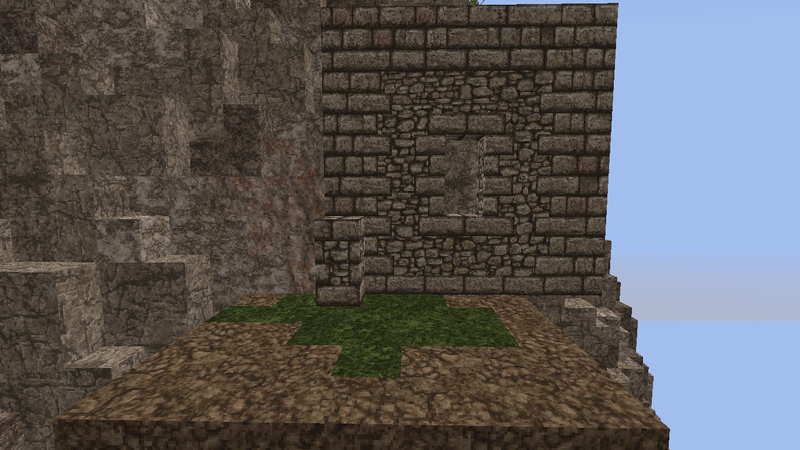 @Seradicus: Yes, I didn't much like my old cobble either and I didn't know how to do ctm back then. 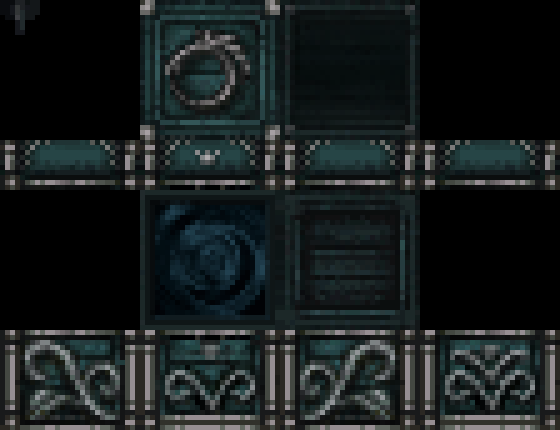 Just as you pointed out, if the stone had a darker shadow, it would look a bit off, something I tried before settling on the current one. @SSilvamcMC: I would suggest trying out halcyon days, conquest or john smith. The legacy team on john smith tp has been doing some great work recently on the 1.7 flowers etc. @pinky4341: I miss my light grout it just doesnt fit with the new style I'm doing. 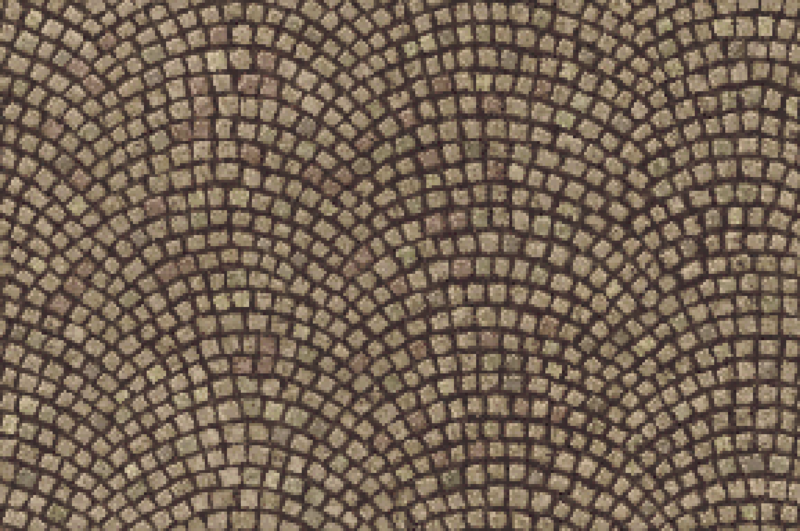 Some of the most gorgeous medieval textures at 32x I've seen in any pack. 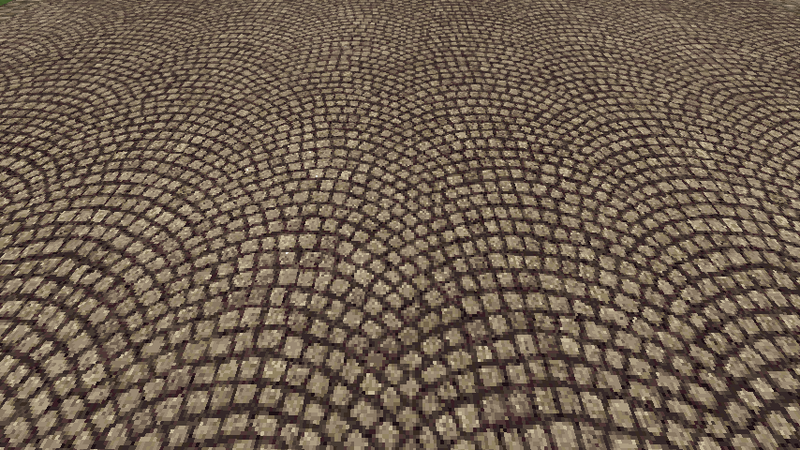 That stone and cobble is incomparable...I can't get mine to look anywhere near as satisfying as that, and I'm playing around with quadruple the number of pixels! So I have been planing to stop work on werian entirely. I thought I changed my style so much that it would be weird to include my old textures with the new ones. I will most likely create a new pack thread and transfer only the textures which I'm still content with from werian. There will still be some time before the release of the "new" version of the pack. Just thought I'd drop in with a status update of the pack and some stuff I'v been working on. - Updated regular stone, added some value shifting. - Diorite, Andesite, Granite now have new repeat pattern textures which kinda blend with regular stone while still trying - to maintain their integrity. So I have been planing to stop work on werian entirely. I thought I changed m style so much that it would be weird to include my old textures with the new ones. I will most likely create a new pack thread and transfer only the textures which I'm still content with from werian. There will still be some time before the release of the "new" version of the pack will be released. Just thought I'd drop in with a status update of the pack and some stuff I'v been working on. That is both gorgeous and mind-blowing. I was worried this was dying off right as I saw it. Glad to see it's just getting an overhaul. I think the extra stone types should be slightly less stoney, but I like the idea. I really want to see what you do with the new stuff, any idea when we'll see some? Looks great, will be keeping an eye open for the new thread too. Definitely glad you aren't just killing this off though, if it had more of the textures in the new style it would be one of my favourite packs. Is there any way of disabling the see-through water? Or do I have to use my second resource pack's water over this one? Brilliant pack by the way, in conjuncture with the conquest pack it;s absolutely bloody incomparable. This is such a gorgeous pack, I've been looking everywhere for a near realistic medieval resource pack before I stumbled upon this. You really catch the older times theme with this. I would very much love to see this work updated for 1.11 in the hopefully soon future. P.s; When I go to download the pack for 1.8, the download seems to be for 0.6, is there any fix to this? 0.6 is the pack version, not the minecraft version. any pack that is 1.8+ will mostly work nowadays, only things that mess up are models (that is between versions 1.8+). I don't have any plans to update this pack yet. I'd recommend checking out conquest for a complete pack.